Recently, scientists analyzed some of Forbes’ most influential climate articles for 2015. While one article was rated as highly accurate, two articles were found to be deeply inaccurate and misleading by the more than 20 scientists who reviewed them. 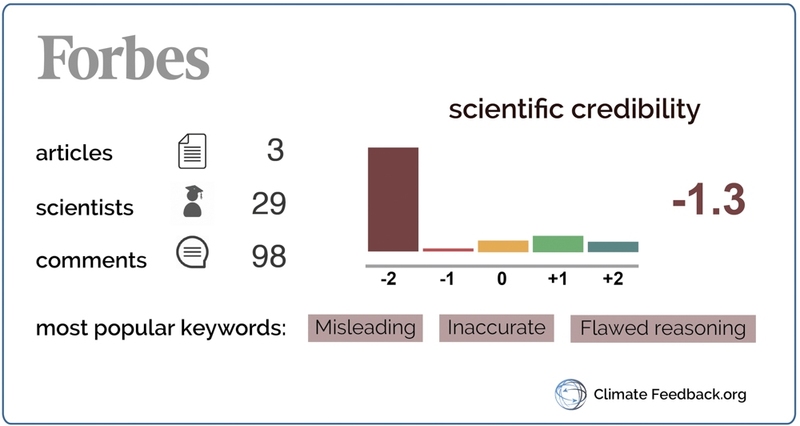 In both cases, all scientists independently gave the articles the lowest possible scientific credibility rating. These two articles, both written by Forbes contributor James Taylor, include: “Top 10 Global Warming Lies That May Shock You,” which has 125,000 views; and “Updated NASA Data: Global Warming Not Causing Any Polar Ice Retreat,” which has more than 750,000 views as of December 9 2015 and is still being pushed to tens of thousands of new readers every week – which gives an idea of the scale of the problem we’re tackling. Taylor discusses land and sea ice interchangeably, which is “a fundamental error, equivalent in other fields to confusing house and senate, or an artery and vein”, according to Dr Ken Mankoff. Dr Robert Grumbine comments: “Incorrect on at least two levels. What he compares is ice at a particular time in 1979 with ice at a particular time in 2015. Today, the figure is negative; ice is again below the long term average, and below values at any time in 1979. So far, scientists have only analyzed a few articles from Forbes. 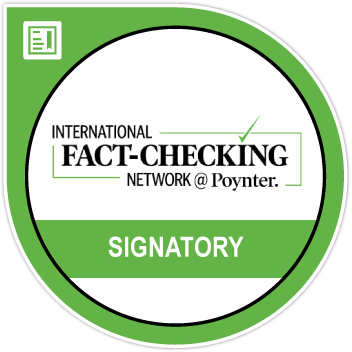 More will be needed to confidently assess the overall credibility level of the outlet when it comes to climate change coverage. However, because these two inaccurate articles are among the most popular of the year, this is already a very significant result. Though Taylor is a contributor and not a staff writer, we believe Forbes has a responsibility to ensure that the site is being used to disseminate accurate journalism, not factually inaccurate information, as is the case with both Taylor’s articles. “This article simply ignores the essential principles of good scientific journalism: Truth and accuracy, independence, and impartiality. The article is plagued with inaccurate information and false statements about climate and glacier change.” – Dr. Tobias Sauter commenting on the “Updated NASA Data” article. Views of Forbes’ climate articles hover around 10,000. The mass audience that these articles have reached, which is still increasing even 7 months after publication, suggests that these articles are being actively pushed to a large audience. This raises the question of whether Forbes, an established and esteemed publication, is being used to broadcast inaccurate information about climate change and push a political agenda.